The Student Success Office is deeply committed to providing academic and personal support to students as they identify and achieve their educational and personal goals. We seek to provide a supportive, encouraging, and understanding environment where each of our students may seek transformation and improvement. We strive to empower students to reach their personal definition of success by recognizing and utilizing their internal and external resources. Our office is committed to the belief that every unique individual has the power to change his or her own life through education. Share their methods of problem solving and personal insights. Mentors possess both knowledge and expertise about PVCC and beyond and can offer supportive advice as you navigate your first year here at PVCC. Think of them as a partner for your success! Click here to apply for a PVCC mentor for the Fall 2018 semester. Great Apps We've Discovered That Will Help You Succeed! The Worry Box: You learn how to identify irrational thoughts when faced with stress and anxiety, and you are coached through exercises aimed at learning how to decrease negative thinking and “let go” of the worry. Slack: Where you access the messages, the files, the decisions, the key moments in the life of your business. It's where work happens. PVCC is launching a new text messaging service to help students complete their degrees. You may be provided support through personalized text messages to support your success. Students at other institutions find these messages help them stay on top of important tasks. For more information contact David Lerman at 434.961.5430. The Fine Print: Never send confidential information over text. You can stop messages at any time by replying “stop." What is the difference between a Student Success Advisor and my regular Academic Advisor? The Student Success Office is all about overcoming obstacles that impede your development as an educated person and a whole individual. While we certainly do provide academic advising, we enjoy working over an extended period of time with you to help you find the strength and resources necessary to succeed at PVCC and in life. SAP stands for Standards of Academic Progress. It is a term used by the Federal Government to express the rules and regulations that you must follow in order to keep your financial aid. What does Financial Aid Warning mean? Once your GPA or Completion Rate does not match what is required for financial aid then you will have one semester of Financial Aid Warning with no penalty. Please see (link) for financial aid requirements and your Student Success Advisor for assistance. What does Financial Aid Suspension mean? When your semester of financial aid penalty is done and your grades have posted, if you were not able to bring your GPA and/or Completion Rate up to the amount needed you will lose your aid. This is also referred to as your aid will be “suspended." What should I do if my aid gets suspended? While we hope that students come to see us before this happens, if your aid has now been suspended it is recommended that you come speak with a Student Success Advisor as soon as possible. There is an appeal process to try and get your financial aid eligibility back. If I am on financial aid suspension does that mean I cannot attend school at all? No. You can still attend PVCC, you just cannot receive federal aid while you are on financial aid suspension. I have lost my financial aid – is there a way to get it back? Yes, you may be able to become eligible for financial aid again. Please meet with the Student Success Office to create a plan on how to get back on track! How do I know whether or not I should appeal my financial aid suspension? Appeals are encouraged if you had an extenuating medical or emotional problem that negatively impacted your academic performance. You may submit a written appeal to PVCC's Financial Aid Office if your financial aid has been suspended. For more information, please click here: http://www.pvcc.edu/pay-for-pvcc/financial-aid/responsibilities. Help, I failed a class, what should I do now? If you have failed or received a low grade on a class, please come speak to us as soon as possible. You may repeat classes to replace the old grades in your GPA but that is not always the only or best solution. What does Academic Warning mean? When a student receives a failing grade in any class or earns less than a 2.0 semester GPA then they will receive a notice stating that they finished the semester in a status of Academic Warning. This does not always negatively impact financial aid, but it is recommended that you come speak with a Student Success Advisor. When a student has accumulated more than 12 GPA credits and has less than a 1.5 GPA they will be on a status of Academic Probation. The student will receive a letter and have to meet with a Student Success Advisor to register for following semesters. Where can I find my GPA and how can I calculate it? My teacher flagged me in SAILS, now what do I do? Talk to your teacher! Your teachers are the best resource you can imagine. If the flag relates to low academic quiz/test scores, maybe this is the time to speak with a tutor or an academic coach, change your study methods, or maybe change your test taking strategies. 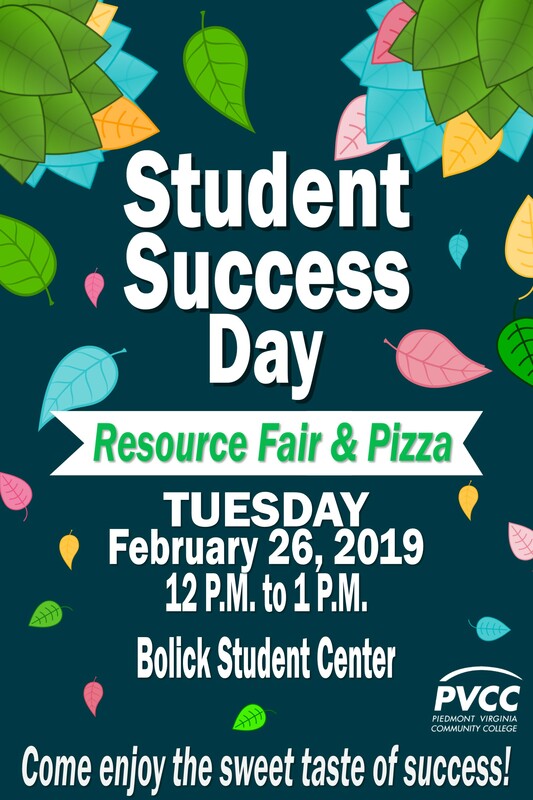 Or come speak to a Student Success Advisor. How can I improve my test and paper grades? Are you aware that PVCC has tutoring and academic coaching for all students? We have a first rate First Quadrant Math Center and an awesome Writing Center. Don’t forget that your teachers will meet with you, email, or speak with you out of class too. How can I improve my time management and study skills? These are so important! If you’re ready to improve in these areas, if you’re ready to make this change, then our Academic Coaches are ready for you. Contact Coordinator of Academic Services Todd Parks to learn more at . I am considering dropping out of school, what should I do? Don’t do it! Come and speak with us instead, or speak with your instructor. There may be resources that we know about that can help you in choosing to make such an important decision. In some cases, withdrawing is the right thing to do so come speak with us and we will help you evaluate ALL your options.